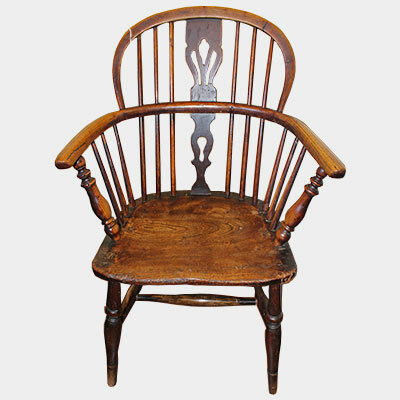 19th century elm and beech captain chair. 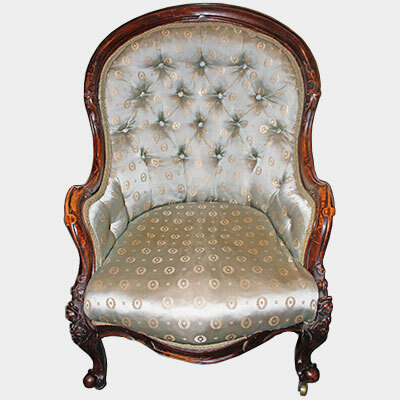 Fine quality 19th century carved walnut armchair. 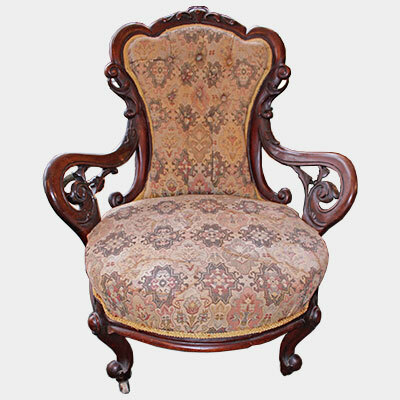 Victorain carved mahogany cabriole leg armchair. 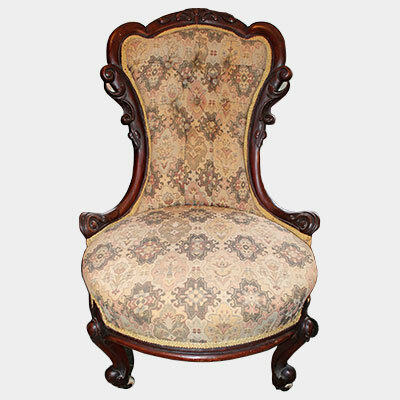 Victorain carved mahogany cabriole leg lady's chair. 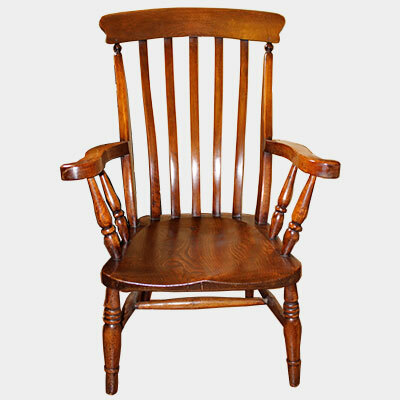 19th century elm windsor armchair. 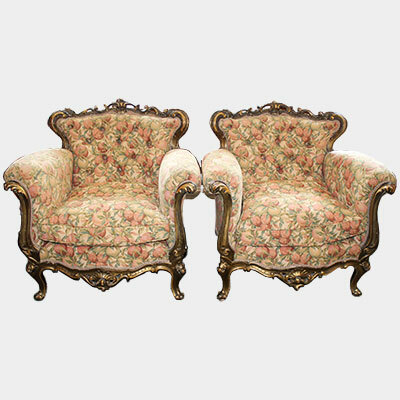 Pair of carved giltwood armchairs with feather cusions. 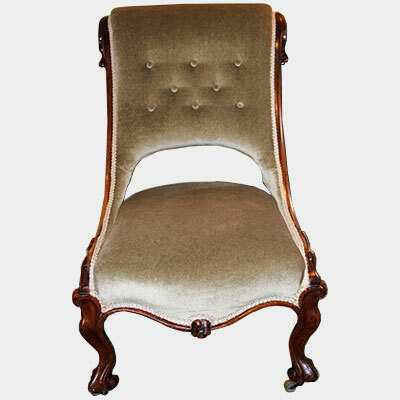 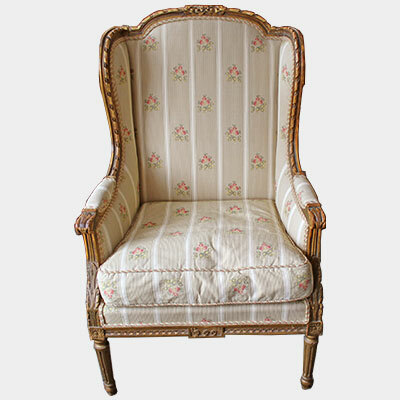 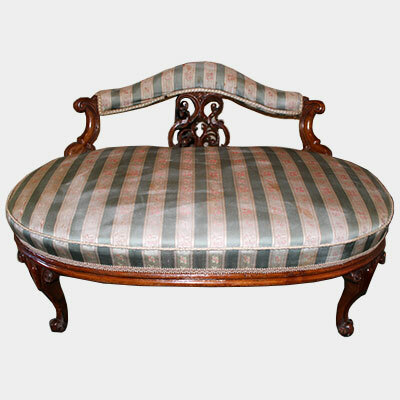 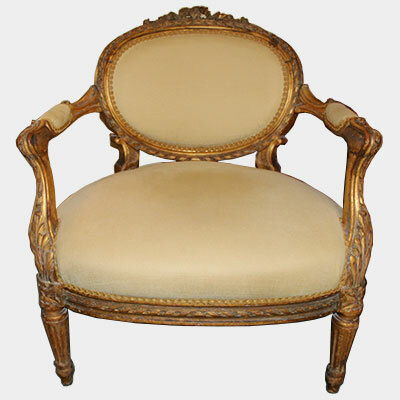 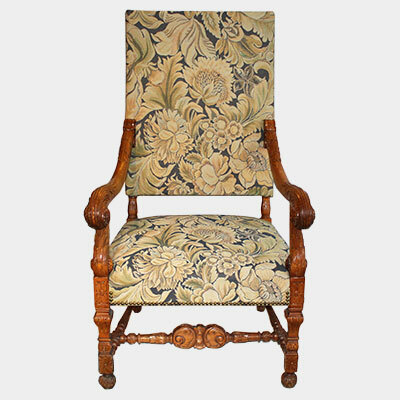 Louis XVI design giltwood carved open arm salon chair. 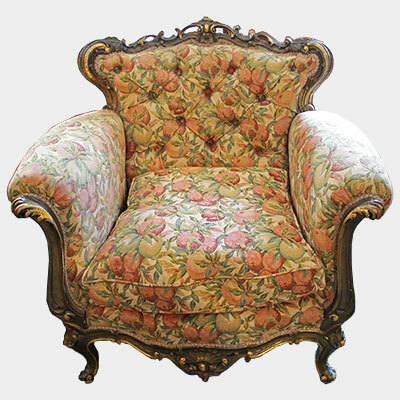 19th century Louise XVI design wing armchair with feather cushion. 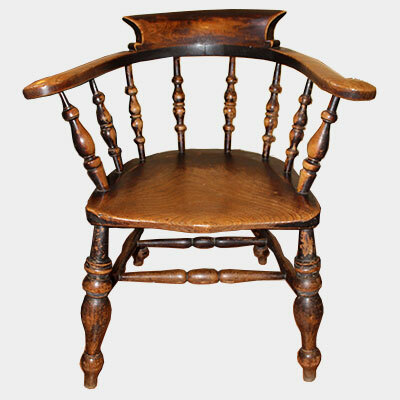 19th century elm farmhouse windsor armchair.